Holla girls! 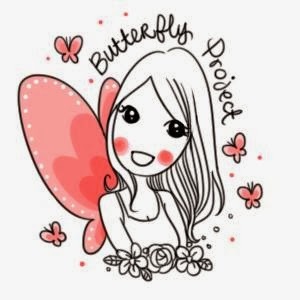 So here's another review of a new drugstore brand I found last month thanks to Fiona :) What I love about this brand is that it's affordable enough that it doesn't hurt your wallet/ purse, and there are so many varieties of products to choose from. 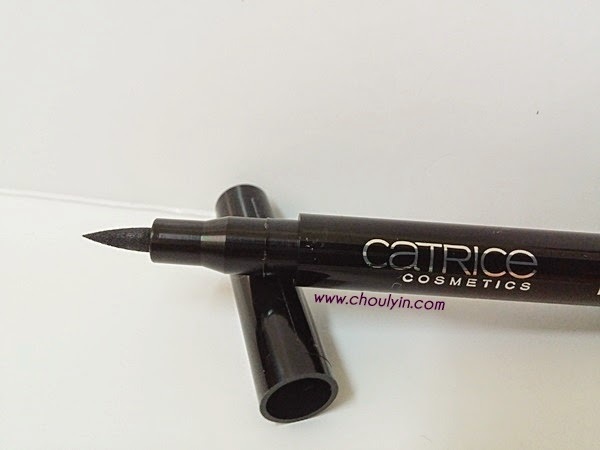 Catrice is a German brand (I think, since the website is a GmBH) that prides itself on following the trends of the latest fashionista and make up artist and formulating products that would cater to the mass market at a price that is friendly to your wallet. 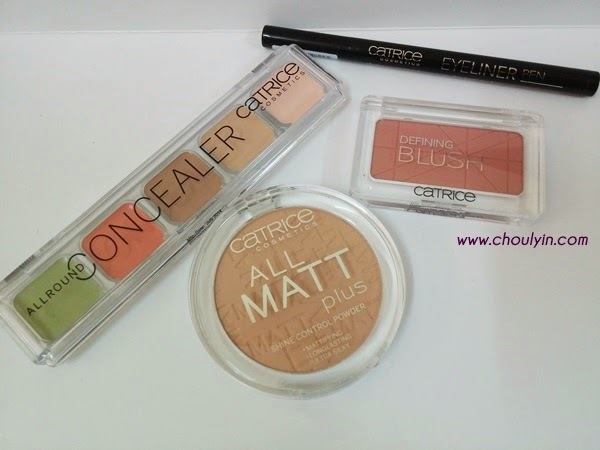 Their products are always updated, so there will never be running out of nothing new to try from Catrice! When I read Fiona's blogpost about Catrice and her experience with the manufacturing dates, I made sure that I checked mine before I purchased them. I was lucky and glad to find that the mfg dates for all the products I wanted to buy were in 2014. So what did I get? I got myself the Eyeliner Pen, Defining Blush, All Matt Plus Shine Control Powder, and the All Round Concealer. So let's move on to the reviews then! 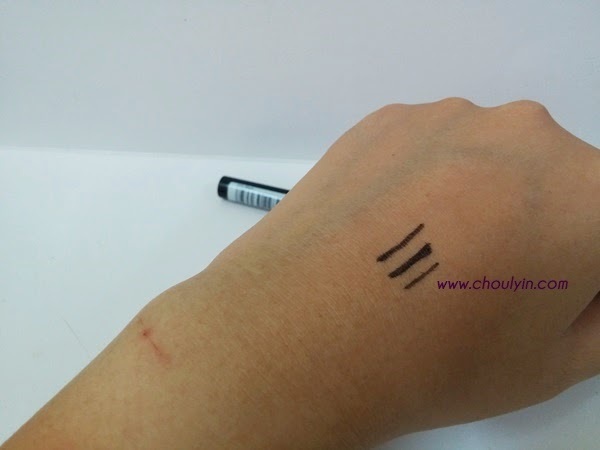 It’s a semi-waterproof eyeliner, so don’t expect it to be smudgeproof and stay on the entire day. 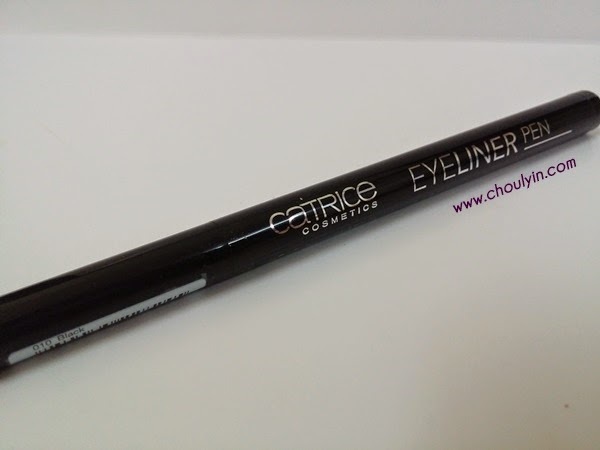 The eyeliner pen itself is a felt tip liner, and upon first usage, I realised that it’s not very pigmented. It’s more a soft black colour, than a deep black colour. However, after a prolonged usage, the colour gets darker, so I guess it just needed some time for the colour to fully seep into the tip. The tip itself, being a felt tip type, is quite hard to the touch. It’s not soft like the NYX Felt-Tip Liner, but more like a hard tip pen. Some might like it because it’s firm, but others might not, if it’s not malleable enough for their liking. Personally for me I’m indifferent to it as I have worked with hard and soft tip liners before, so I can tweak my hand pressure accordingly. What I don’t like though, is that it takes quite a while to dry. So after I line my eyes, I have to keep them closed to let it dry before opening them. Otherwise, it will smudge on my lids. Because my right eye has a deeper double eyelid than my left, it gets annoying that it smudges on my right eye. I have tried many ways to ensure it doesn’t smudge, even dabbing on face powder on my lids to set it, but it still doesn’t work. At the end of the day, my right eye will smudge. So I don’t use it as often; or only when I need to go out for a short while. Which is a waste, really, because then otherwise it doesn’t get much usage. But for only RM16 for one, it’s the lesser of two evils, and I’m not jumping up and down about it. Now, if it was a RM100 eyeliner, I will definitely swear it off for good. There are six choices of blush available in the Giant KD Guardian, and after trying them on, I opted for Rose Royce. 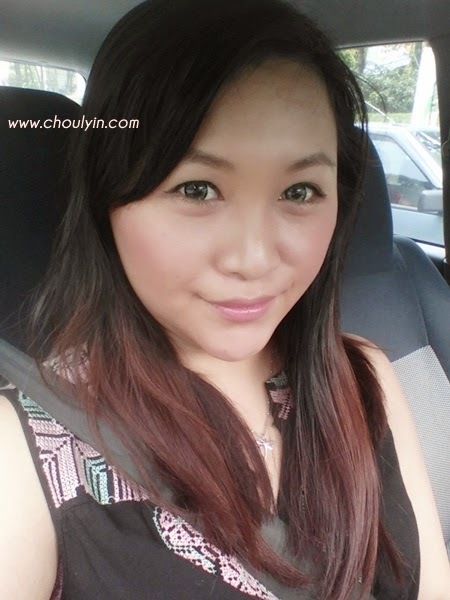 It’s a deep pink colour, and very pigmented, so I don’t need to apply so much on my cheeks. The colour comes out a very pretty rose pink, and it’s not too bright that it makes me look like a china doll. 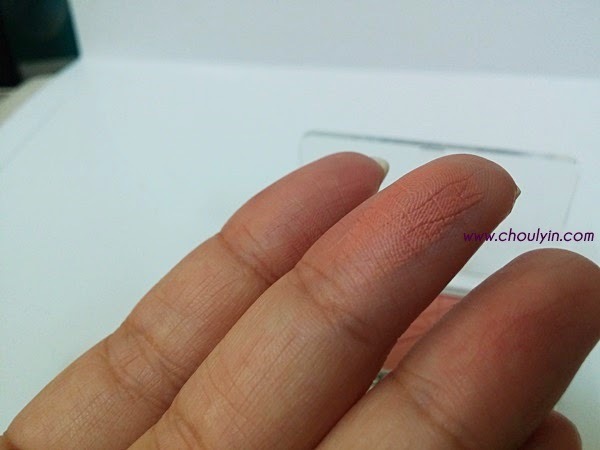 The texture of the blush itself is very velvety, and glides on smoothly onto my cheeks. This is probably one of my favourite concealers ever. I didn’t use to like coloured concealers because I felt it was too tedious for me to remember which colour is for which problem area. But for this particular palette, they actually state at the bottom which colour is targeted for a certain problem area. Red/ pink will be for dark circles, Green for redness, and the other colour range of beige would be for minor imperfections. It’s a cream based concealer, so you don’t have to worry so much about fallout. Pigmentation is also quite high, and will effectively cover your imperfections and worries. 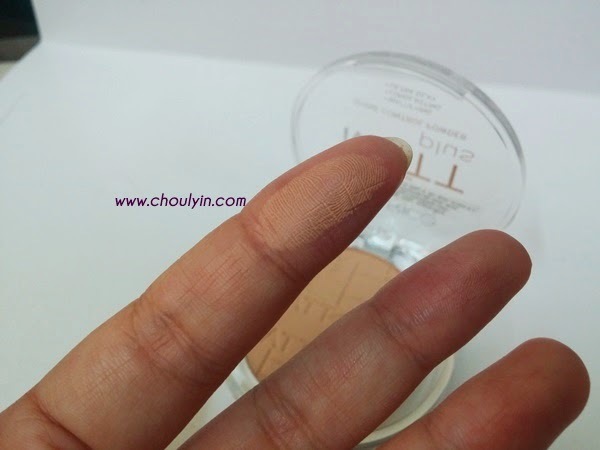 The staying power of this concealer is actually pretty good, and it lasts me the whole day. 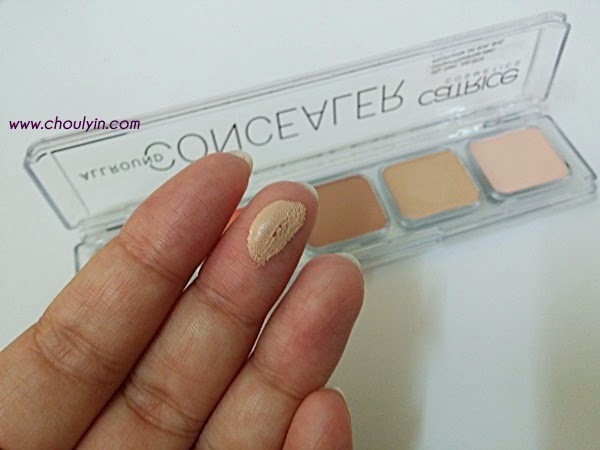 The main reason I bought this concealer is so that I could use the red tone for my dark circles, and I must say, it DOES diffuse the dark colour out quite a bit, and I don’t have to use too much beige concealer to cover it. I daresay that I will be purchasing this palette again pretty soon. It turns your skin into a shine-free zone. 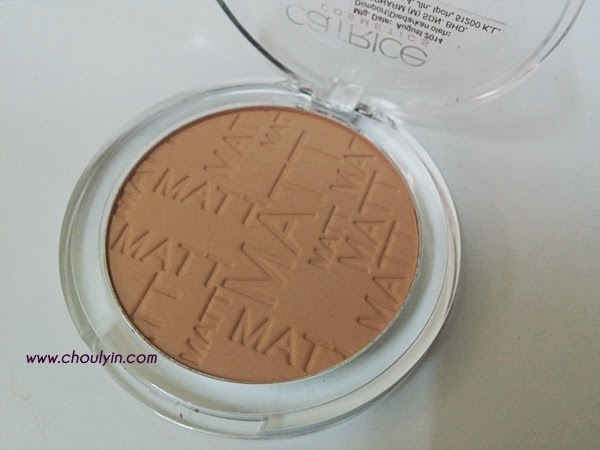 Its oil-free texture offers a long-lasting matt complexion and leaves your skin feeling wonderfully smooth. With light-reflecting pigments for a fresh and flawless look. Perfectly complements the All Matt Plus - Shine Control Make Up. Overall, I quite like using the products that I have gotten. 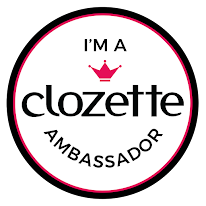 They have all delivered tremendously well (except for the eyeliner) and being easy on the pocket, it would be something that I would recommend to everyone out there. 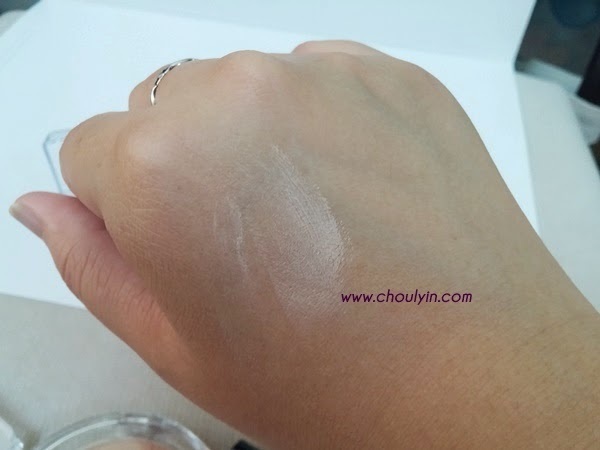 Whether you are new to makeup and want to experiment but not burn a hole in your pocket, or whether you are someone who doesn't mind using drugstore brands. One thing I like about them at one glance is their packaging. Almost everything comes in a sleek acrylic see-through container, and it's not any cheap acrylic, it's a tough and firm plastic that doesn't feel like it's going to break even if you drop it. I felt that there was a very premium feel to it, and I liked looking at it through my make up bag. I love the airbrushed and silky feel the products give me, and they can last a full workday! I have been using these products for three weeks now, and they have given me no cause to discontinue using them. 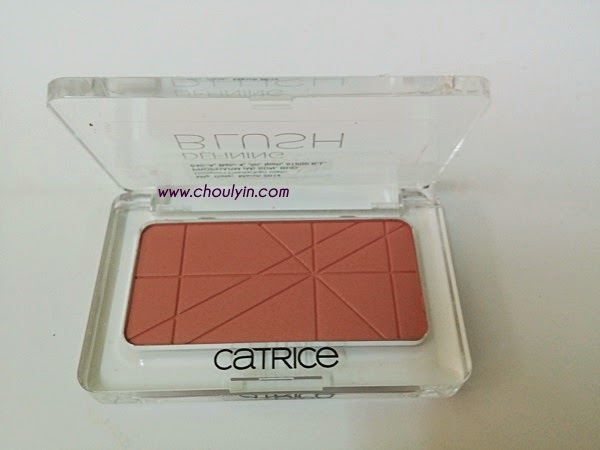 The Catrice brand is available exclusively was Guardian stores, so you wouldn't find it at any other drugstores around town. At least, not that I've seen it anywhere else. The downside though, is that it's only available in selected Guardian pharmacies, so if you're lucky, you might be able to find it at a Guardian near you. They're mostly available at the larger shopping malls like One Utama or Sunway Pyramid and the like, but for smaller Guardian outlets, it's usually not there. They don't even have a Catrice counter at the Guardian in Curve! and that's a pretty big Guardian. I was lucky, because the Guardian in the Giant near my place has it, and imagine my joy when I walked in and saw it there! So if you think this is a brand that you would be willing to try out, go and get it! The higher the demand, the greater the supply! And before you know it, every Guardian will carry this brand! :D Have I managed to tempt you to get it? Let me know if you have and tried it out! I don't like using these kind of eyeliners. Hard tips hurt my eyes and it's not as easy to create a wing. 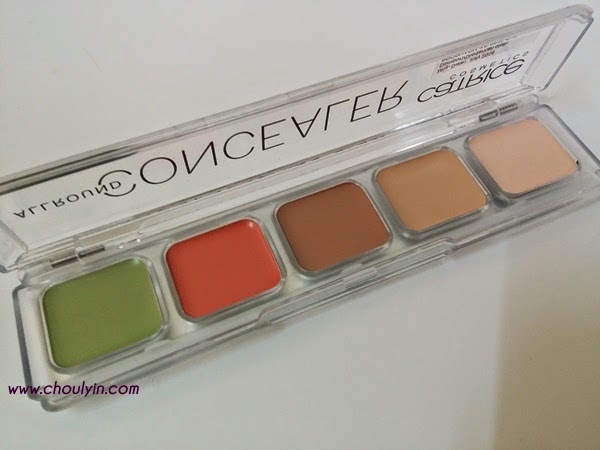 The concealer palette looks good!